"Try it free, cancel anytime. Still have questions? Send us a message." Do I need an app for my phone? Yes, we provide considerable discounts for companies looking for multiple accounts. No, MRTIS is designed to run within the internet browser on your mobile phone. This allows the system to be compatible with a wide range of mobile devices. How much cellular data does MRTIS use? What devices can MRTIS be used on? MRTIS uses very little cellular data. Using the website for approximately 8 hours a day, for an entire month straight, should use approximately 1GB of data. 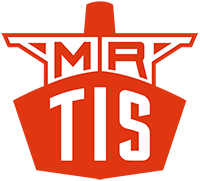 MRTIS is compatible with desktop computers and the majority of mobile devices. Our services are designed to be used whether at home or on-the-go.